'The Chai Wallahs of Amruth's Café', Gokulam, Mysore, India, February 27, 2017 (From left to right: Suraj, Ganpath, Suresh, Vikram) For many of us who have been coming to Mysore year after year, Amruth tea stall is a familiar and beloved place. It opens before sunrise and is primarily a meeting place for local Rickshaw drivers, traveling merchants, workers and other locals who start their day there with a strong tea and maybe a biscuit and a cigarette. Amruth's is open all day until about 10 pm. 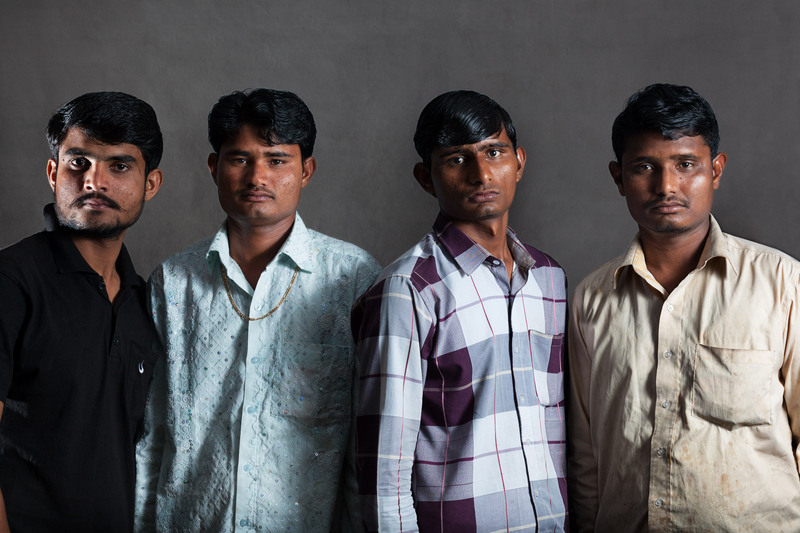 As one of many returning foreigners, I have known these young Rajasthani men who make and serve the tea for years, some like Suresh (2nd from right) since they were young boys. Some spend the night on the benches or floor inside the stall before starting another 12-16 hour shift around 5 am in the morning. As we western Yoga students sit on the steps of the adjacent pharmacy, drink chai and revel in our post-practice bliss, i am often reminded of how privileged i am to be able to travel to India for months on end with the sole purpose of cultivating some type of spirituality. Then every so often my eyes meet Suresh's and I notice that something inside his eyes has hardened. I can no longer find that pliable, shimmering spark of youth i used to see in the darkness of those pupils when i first met him years ago.